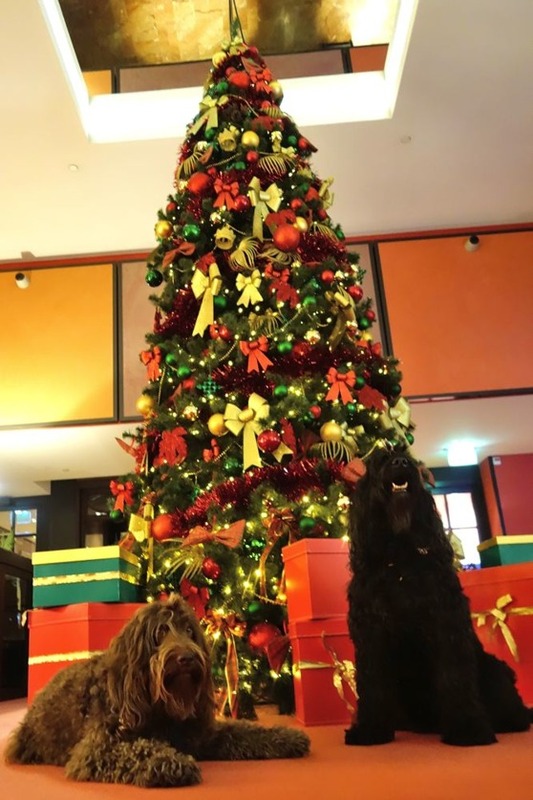 This Christmas Bart and I escaped together with the dogs to a lovely dog-friendly hotel in the middle of Amsterdam. 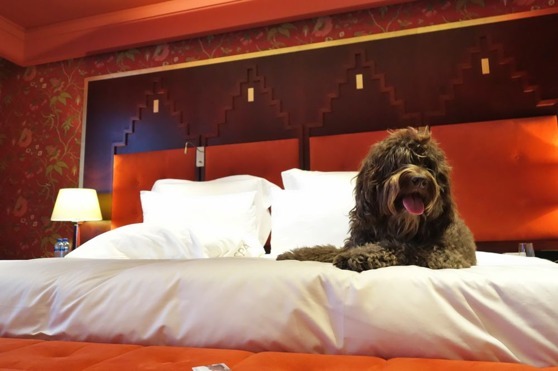 The dogs immediatley felt at home, on top of the huge soft bed, in our cosy room! They were also welcome to accompany us in the bar and at breakfast. 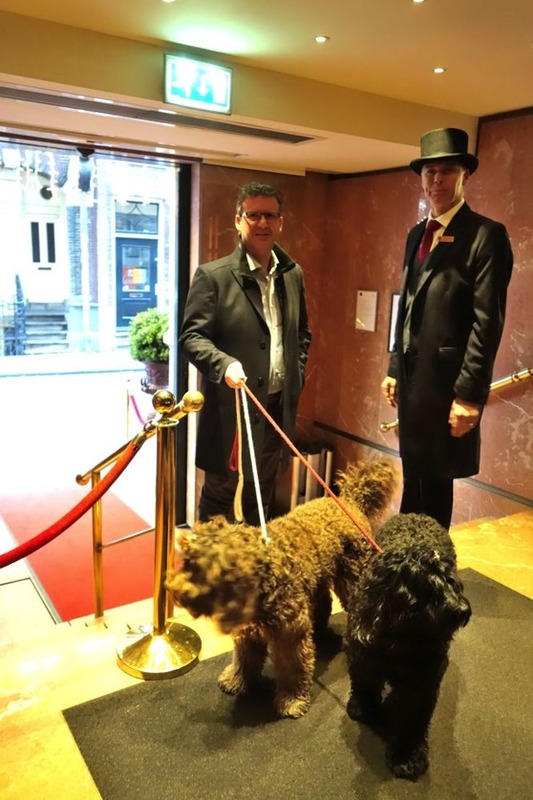 The hotel even offer walking the dogs or looking after them in the room if needed. But we planned our weekend so that we could be together almost all the time and did not need that service. But I found it amazing that it was possible! 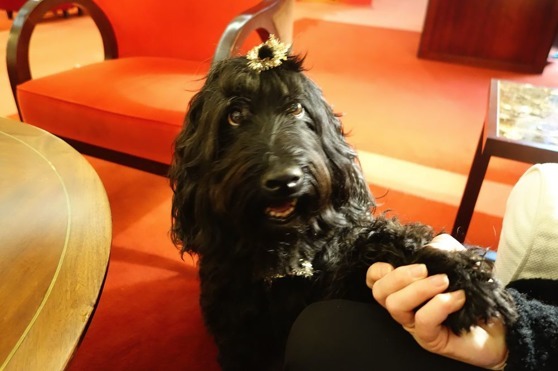 We are used to getting a lot of attention from peple when we bring the dogs to new places, but this time, with glitter and gold ribbons around their necks, the attention was overwhelming.